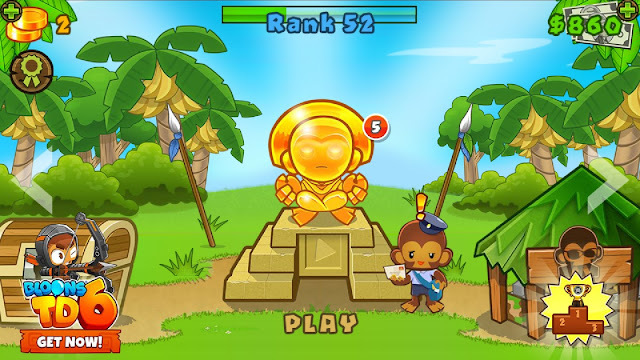 Bloons TD 5 is a pay to play game on Android and Apple. 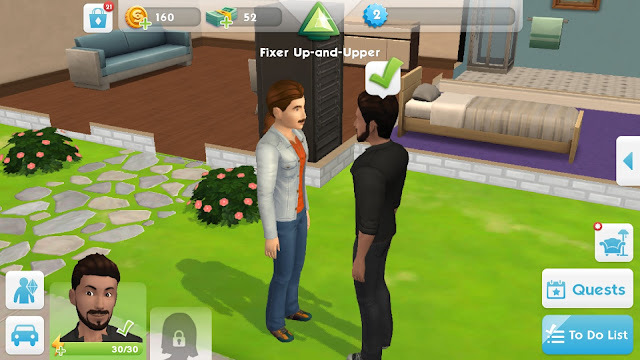 It costs $2.99 and it is extremely fun. The game is about monkeys using darts and other colorful weapons to defend their home from balloons. These balloons come in many different forms. There are regular balloons, regenerating balloons, and camouflaged balloons. 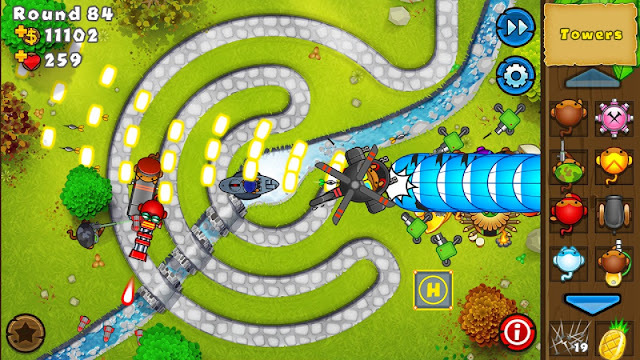 Each tower or monkey is effective against different balloons. Some can see camo balloons, others take regenerating balloons out before they heal themselves. There are an infinite number of rounds to battle your way through in the game, but different stages are harder than others. The stage pictured above is an easy map. It lets you hit balloons multiple times with one tower. Other stages that are harder are shorter and faster than the easier stages. Overall, this game is extremely fun, can be played quickly, and could be fast paced. Or, it could be just a casual round while waiting in line or keeping you entertained on a long car ride.